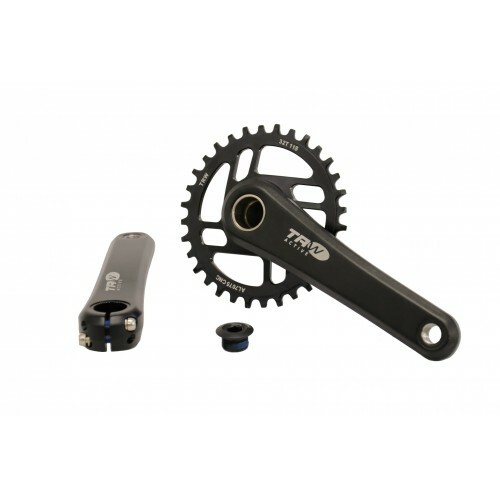 The TRW2 LW Crankset is a modern 1x crank featuring a direct mount chainring and adjustable tension on the BB bearings. 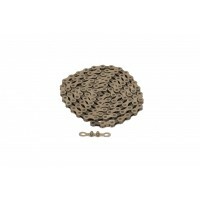 The arms are forged from AL6061, heat treated to a T6 hardness, then shot peened to compact the surface structure. The cranks are then hard anodized and laser etched before the spindle is pressed in. 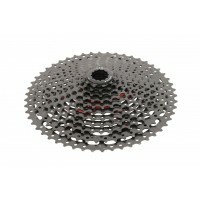 The spindle is 24mm high strength CrMo steel, and is splined for adjustability and easy service. The non-drive arm features dual opposed pinch bolts with an endcap to adjust tension on the angular contact bearings in the bottom bracket. 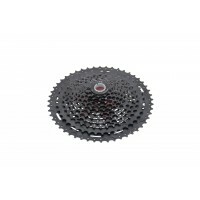 They can be ordered with standard chainrings, or boost (+3mm offset) for 148mm rear hubs. 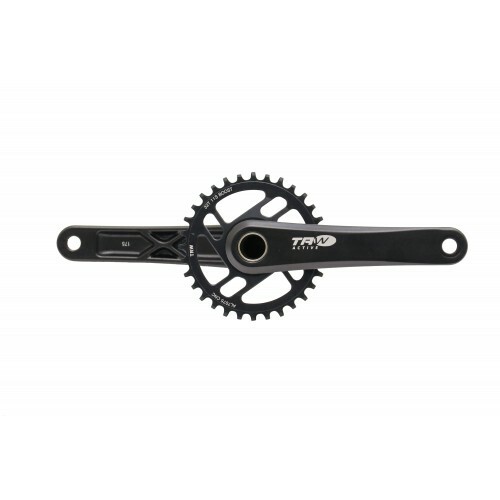 Though these cranks are lightweight, they are strong and stiff for direct transmission of force to the rear wheel. 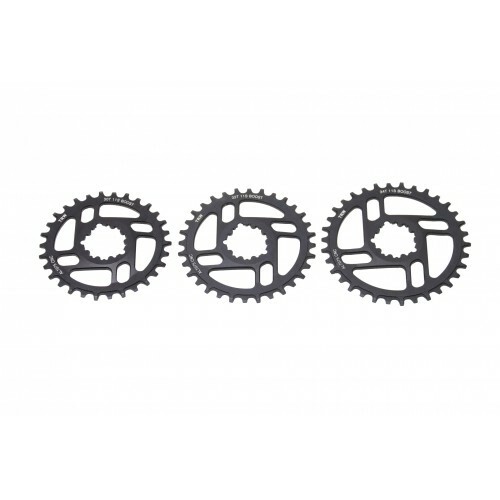 o 2 versions of chainring, standard and boost (+3mm offset) in 3 sizes, 30t, 32t, & 34t. 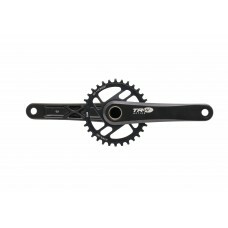 o Direct mount chainrings for aftermarket compatibility. o Dual pinch bolts and tension bolt for a precise fit in the bottom bracket. 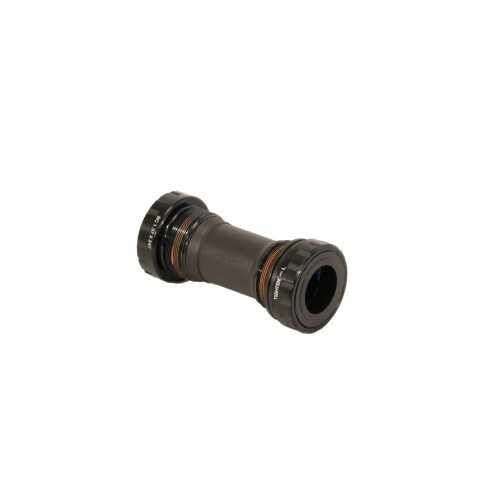 o Forged 24mm CrMo axle with splined interface to fit all common frames. 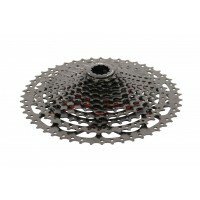 o Chainring and BB included with crankset (BSA threaded, BB86/92 press fit, (BB30 for 24mm spindle press fit also available).